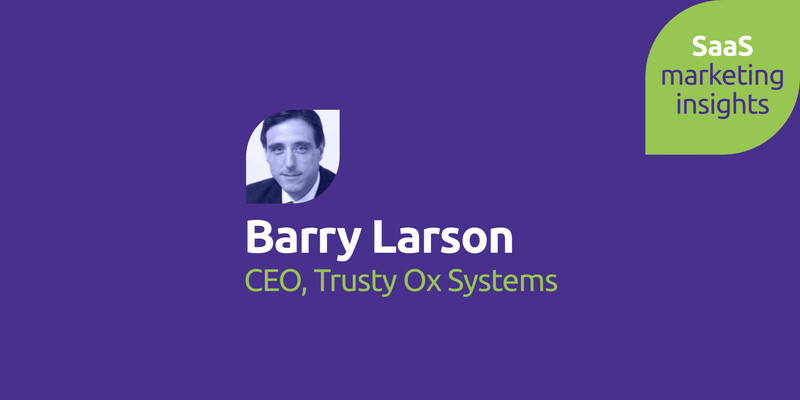 Paul: On today’s show I have an interview with Barry Larson, CEO at Trusty Ox Systems hope you enjoy it. 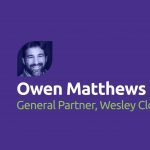 Here I am with Barry Larson from Trusty Ox, probably not a name that you’re familiar with because Trusty Ox does a number of different things, Barry tell us about the three SaaS businesses that you have. Barry: Well, so Trusty Ox is just the corporate company name and we trade all of our products under their own brand names. So the first product is a restaurant marketing system, it’s aimed at owner managed restaurants largely in the UK and it allows them to get a free website, online ordering, table booking, loyalty system, social media marketing, email campaigns, SEO, all that stuff. It’s done on a pay per performance basis so you don’t pay us anything upfront but we take a small commission on anything we get you on the back end. So that’s the first business and that was our first attempt at SaaS actually and that’s been going on for more than a decade now. From there we moved in to, believe it or not, the oil patch in Alberta, I know it seems wacky but moving bits of curry around from A to B is a bit like moving oil from A to B, so it was a oil field trucking dispatch system that we developed, it was for a fleet originally of about 120 trucks. They all had apps and they needed to centralize their data systems and just being online in a SaaS environment really worked well for them. an app that’s more than just for the oilfield, it’s everything from utilities to local government, to education, to security, to janitorial systems, you name it. We do that and it’s basically all over the world. Paul: So you’ve got a business in the UK dealing with takeaways and restaurants, you’ve got something that is specifically in the Alberta oil field or? Barry: It is because what it really comes down to is, the oil in Alberta is so thick they can’t put it down a pipe so they have to truck it so it’s quite unique to that space. Paul: Then you’ve got a business that’s dealing in people who work alone anywhere in the world? Barry: Yep pretty much, we have clients everywhere from New Zealand to Australia to all over the US, UK all over Canada. My personal favorite is a rugby ground just north of Sydney where there’s some guys out there mowing the lawn every day and he’s using our system because they want to know he’s safe as he’s mowing. Paul: Is that Sydney Australia or Sidney BC? Barry: Sydney Australia, I just chuckle as I look on Google and think ‘oh there he is’. Paul: Wow so how did you get started in SaaS because those are three very diverse businesses and i’m sure we could drill into a lot more detail in all of them but where did the journeys start for you? Barry: Well the journey of SaaS started with order wizard which is the restaurant marketing system, originally we were trying to sell small business server through Microsoft to small businesses to improve their business processes and get them organized in this kind of thing. We did a proposal for a friend of Mines local takeaway or restaurant, he claimed he wanted a website, what he really wanted after talking to him was a leads machine because his business was down. So we gave him this big proposal for a system and of course he never responded because he didn’t have the IT skills, he didn’t have the marketing skills and he didn’t have the budget and that’s when the penny dropped. If we just did all that and served it up as a service for them there’s lots of people like him and that actually proved to be the case and so like I think I said it’s been going now for well over ten years, we have restaurants all over the UK. Paul: Wow and why does that work, why hasn’t it grown outside of the UK, what is it about the UK that’s different? Barry: Some of it is just cultural so you may get on the train in London you want to hit your app, three clicks and you can have your last order. You get off the train, you pick up your curry on the way home and you go eat. That’s less common in North America you’d get in your car, it’s a car environment, just the car actually changes everything. So we’ve never, we did a test launch here in North America and absolutely proved it was a different market so we’ve just stayed in the UK which is the market we know and understand. Paul: So who would be your competitors in that space? Barry: Three main competitors. So you’ve got the big boys who are the portals so like the Just Eats of the world or here in Canada now it’s something called Skip The Dishes which was bought by Just Eats not too long ago so the big guys like that, Hungry House is another. Independent Marketing Consultants, web agencies who will build websites and systems for them. The trade-off is big upfront fee and you have to have the skills to do it and I would argue the biggest one is actually just plain inertia to do nothing, it’s just easier. Paul: Just think you can do it yourself. Barry: Just think you can do it yourself or my kid will do it or ‘they’re all my customers of course they’re gonna come to me, I’m amazing, what do I need this stupid website for and why am I paying you’ so yeah doing nothing still remains a big issue. Paul: So that sounds like a really competitive space to be in, you’ve been in it for ten years, the business is surviving and thriving so you started with that what came next? Barry: So then we moved to the oil field so front foot. we’re really good at is doing system integration projects. We find real acute problems that require very specific solutions and we can pull together the systems to make that happen for customers and that’s really what we’re good. So when you think of it in those terms the projects all fit together very nicely so whether as I said you’re moving curry or chicken or oil field it doesn’t really matter. 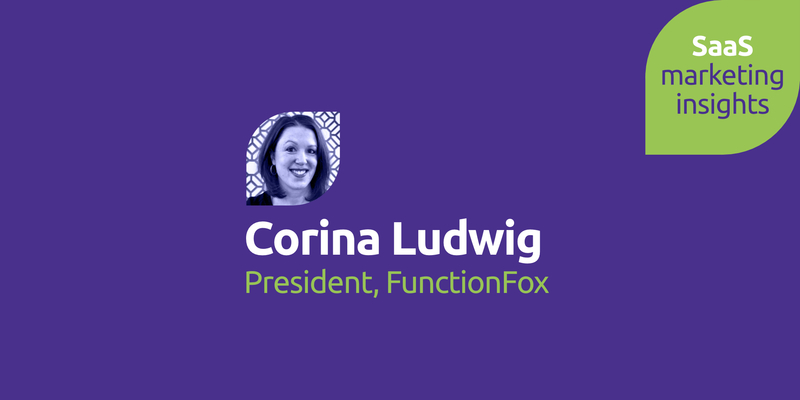 You’re building apps, you’re creating access to information and one version of the truth for clients and all of those systems have exactly the same things going on. Paul: Ok so then it’s the trucking logistics and then Ok Alone worker and you obviously have a team behind you that works on all this stuff and it must work like clockwork because you’ve been doing it for a long time? Barry: We’ve been doing it a long time we’ve got the bugs worked out so unlike a startup most of our software is on version 2, 3, 4 or 5, Order Wizard’s on version 7 or something so it’s a stable platform. We’re just innovating around clients needs, we’re very receptive to that, we have feature requests, we get them all the time from clients which is great they tell us what they want and every quarter we look at them, we do the development and release them. 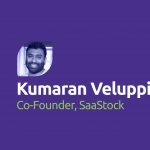 So it’s very structured, very organized, in that sense it’s unusual for us to have to rush something out, there has been the odd bug which is a fantastic thing with SaaS, you can literally fix everything. Paul: Fix everyone’s problem in one go. Barry: Equally if it all goes down it all goes down in one go too but yeah compared to the old days when you used to bundle off CDs this is great and it gives us scale. Also the international side, being able to pick up clients anywhere in the world just like that is now possible which was very difficult to service before. Paul: So tell me a little bit about, with you owning, managing and running these three SaaS businesses there must have been some things, some trends you’ve seen in terms of marketing, anything that worked across all three or a couple of them or on the opposite side, things that really didn’t work? Barry: Well in terms of trends this is more the marketing and the marking is a big piece of it, we’re seeing it’s over 80% now of the restaurant clientele are using mobile devices to interact with the restaurants. a huge thing. So if we aren’t designing systems and thinking about mobile, so having a dynamic website for example, you’re really putting yourself on the back foot because people have choices and is they aren’t being served they’re just gonna drop you. 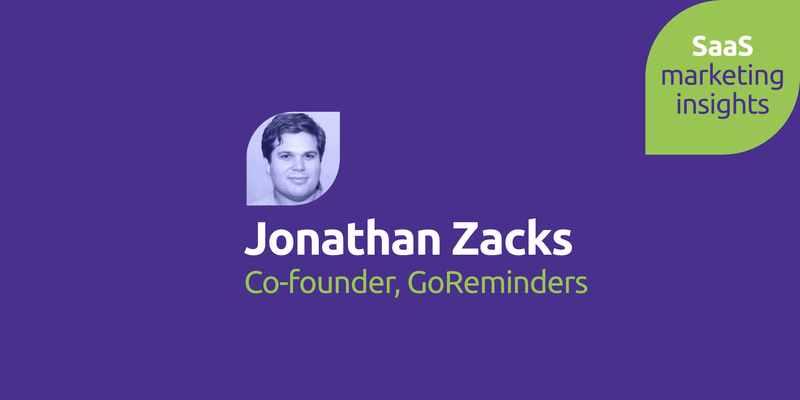 So from a SaaS perspective that’s crucial, understanding Mobile is there and it’s real. We see voice is coming so we’ve done integrations for both Order Wizard and Okay Alone. Paul: What is this with Alexa stuff and Google home? for a safety call whatever the case may be, when the next oil truck is gonna be oil and not water or you know these things. So we can use AI algorithms to help us with that and then from a marketing perspective, I think the only thing that we really sell anymore is experience. We can take things like mobility and AI and voice and create a unique experience that you can then wrap a brand around and customers can engage with and that’s where I see things are going actually. Paul: Wow! So three companies at the moment, three businesses I should say, one company, three brands. Is there a fourth brand coming, have you got anything you’re working on that you can talk about? Barry: Oh thats top secret, not that I could tell you about but we’re always looking. Well we’re always on the lookout, we want to grow you know as I said at the outset what we’re really good at is finding niche problems and doing systems integrations around them. If something comes along we would absolutely look at it, we have a couple things in the hopper that we’re examining now so let’s see where those go. Paul: What do you think of the big trends at the moment in terms of SaaS and where SaaS is going whether its sectors or obviously we talked about some of the technologies: AI and voice search. Do you see it being adopted in particular sectors more now, one that springs to mind is clean tech that sort of thing. Barry: Well my guess is it’s how users will interact with the systems so now it’s you go to a box you type in stuff and things happen and as you know, Okay Alone and in fact all three of the products, you don’t need to be at a computer anymore. You can interact either through a mobile device or soon voice systems so for clean tech we do have some customers in this space. They just need to know when there’s a problem, they don’t need to be sitting at the computer looking at a screen typing in stuff. Is something wrong now, if yes alert me, if not all systems go and let’s go on with that and I my guess is that will continue to be the case. Paul: How do you as Managing Director/CEO of this, of these three brands make sure that you don’t go crazy pulling your hair out? Sounds like you’ve a great team behind you but do you find that you have a routine or something that you do to make sure that you keep mentally sharp? Barry: Well the main thing I do is put my phone down, I don’t have Facebook on my phone, I don’t have any of this stuff on my phone. I have this amazing idea that maybe you go talk to someone and have a cool refreshing beverage or a hot refreshing beverage with someone and amazing things happen when people sit down and talk together and that includes yes your staff of course, suppliers but customers. Absolutely just talk to them and that will give you all sorts of insights and ideas and freshness now it can also recharge you because as you sometimes do you go out with some friends. A friend of mine hadn’t played tennis in I don’t know 20 years, he said let’s go hit some balls I said well I haven’t played in 30 years but okay let’s go hit something and that’s developed actually into a great physical outlet. So I get some exercise, I can go play some tennis and I get to meet a whole bunch of people that I wouldn’t have met otherwise and we’re not sitting there talking on our phones we’re actually talking about things that are interesting and opportunities come up. So that gives me some balance between the physical and work but staying healthy, staying fit, engaging with people and sanity I suppose. So just as an example one of the guys in my team is a competitive cycler another one is heavily into yoga and basketball so yes physical activities are a big part of the culture. Paul: It sounds like Trusty Ox has the work/life balance taped. Barry: Well it’s a trade off right so we work on a 24/7 system there are peak times and when times aren’t peak I absolutely encouraged the team to use that, if you need to go do an extra hour of yoga or you need to take an extra day off it’s not a problem. There are times when that won’t be the case and for example one of my developers was on his vacation he was in Vegas and he literally spent the whole day because the system crashed he was in Vegas stuck in his hotel working, it was a nightmare. Paul: Did you him him back in chips? Barry: Yeah, I don’t think I could ever pay him back for that one. So like I said it’s a trade-off. When things are busy or there’s a crunch we understand that sometimes stuff gets bumped but when it isn’t like that we’re very flexible. Our cultures is, I’m told very good, we have a very low staff turnover rate which in this business is great because that corporate knowledge and understanding of customers you’ve had for 10 years is just critical. Paul: Yeah absolutely, thank you very much Barry, really appreciate you having taken the time to have this conversation with me.